A florist can help the bride find the flowers that are appropriate for the bouquets, boutonnieres, and floral arrangements, depending on the time and location of the wedding. By R.L. Cultrona One of the biggest decisions you will make when planning your wedding is flowers. It may seem simple on the surface. But there are thousands of different types of flowers, so it is hard to know which to choose. Your florist will know best which flowers will work best for you. The best thing you can do is have a theme or design ready for the florist to work with. 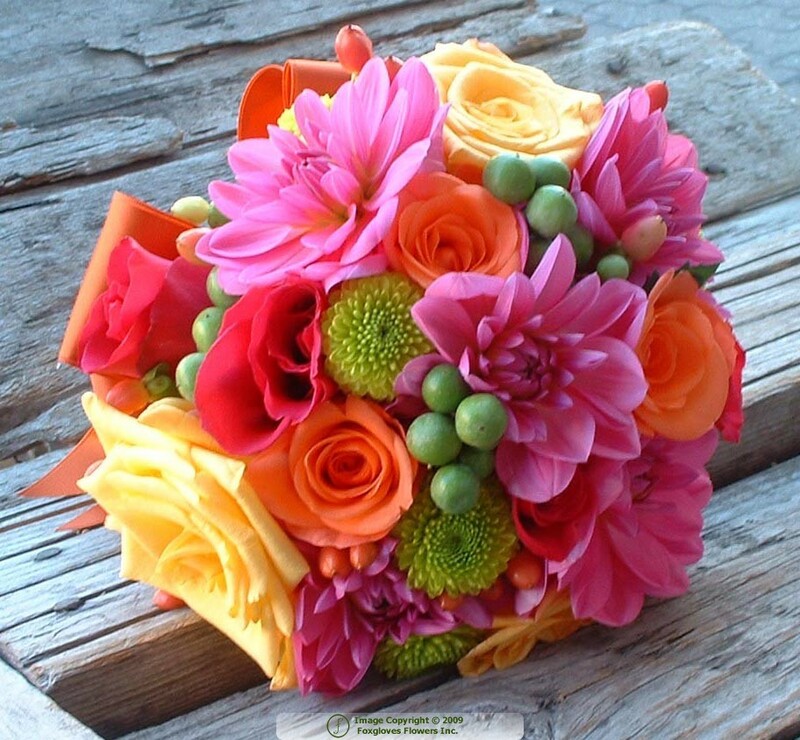 The most popular choice is to match the color of your wedding flowers to your wedding colors. You can work in one color, for example shades of purple, or a combination of colors that work well together. Lighter, softer colors are best for morning weddings while vibrant blooms will compliment a late afternoon or evening wedding. The best way to keep your flower budget in check is to work with local flowers that will be in season on your wedding day. Nature is a well-oiled machine and flowers that are in season at the same time will usually go together. Spring will offer an assortment of pretty, delicate flowers. In the summer, colors will become more vibrant. The autumn months will offer shades of orange, yellow and red. While winter will offer fewer flower options, there are beautiful white blooms like winter jasmine and white camellias. If you have a flare for the dramatic, consider centering your design around a vibrant flower with a large bloom. Something like a large black dahlia or a red Gerbera daisy can make a great focal point and can be complemented by smaller blooms or greenery. When using large, vibrant flowers, remember less is more. You want people looking at the bride not the flowers. If you will be getting married on a tropical island (or just want to feel like you are), consider using hot house flowers and tropical blooms. Tropical flowers include orchids, ginger and tropical foliage. Designs can consist of a simple single bloom or an extravagant arrangement of several tropical specimens. Tropical flowers are fast becoming a wedding favorite and offer a fresh option to your traditional wedding flowers.